Is a Video Crop Frame Sensor Bad? If you’ve spent anytime around digital video than you’ve heard the terms Full Frame, crop frame, and that damn crop factor. But where did this terms come from and do they really have anything to do with us in the video world? Last year, we decided to add a Canon C100, a serious expense, to our gear along with our 5D DSLR. While researching the C100, we stumbled upon comments stating you’ll need to use the crop factor with it because…wait, what?! Does that mean it has a…cropped frame?! Did I hear that right? We’re spending serious coin on a professional quality video camera. No way. This didn’t seem right. Something was off. So I dug into some serious research. These terms came into use when DSLRs, with their digital sensors, came into being. What are they and where did they come from? Back in the day, in the still world, you placed a 35mm film cartridge into your camera and loaded it horizontally against the gate. A nice frame for your lens to project your image onto, 36 x 24mm of wonderful emulsion. So still photographers slapped their treasured prime lenses on these cameras and got very used to knowing what field of view they would get when using them with 35mm film. When they used a 50mm, they knew it would give them a field of view roughly equal to what the human eye saw. Anything lower, like a 35mm or 28mm would be wider, and higher, like a 75mm and up, tighter. So when digital sensors came along, this was an important consideration to keep in mind. To create a sensor that matches the same area as 35mm film so photographers would get the same field of view with their lenses.Everybody was happy. But full frame sensors are expensive to make. You can only fit so many of them on a silicon wafer. What if you made a smaller sensor, allowing more to be made cheaper, thereby creating a more affordable entry level camera? The crop frame sensor was born such as the Canon 70D. Even more people were happy but if you used standard lenses with these cropped frame sensors, you didn’t get the same field of view. Full Frame vs Crop Frame image area captured using the same lens. You see, only the center of the image cast by 50mm lenses is captured by the cropped sensor. The field of view is now smaller, it’s cropped, and equivalent to roughly the field of view an 80mm lens would capture. What are still photographers to do? Use the crop factor. For a Canon 70D, for example, if you use a 50mm lens, you’re really getting closer to an 80mm, so you multiple a crop factor of approximately 1.6 to get 80mm. This crop factor was needed by photographers so they could adjust what lens choices they made when using a cropped sensor camera. This meant to get that 50mm field of view, that equivalent of the human eye, they needed to use a 35mm lens. Now when Canon added the ability for DSLR cameras to also record video, everything changed. Now still photographers had a high quality still and video camera in there hands that used their cherished and expensive lenses. The line between still and video blurred. Whether shooting stills or video with a crop frame camera, photographers had to use a crop factor with their standard lenses. Do You Have to Use a Crop Factor? Okay got it. What about my wonderful yet expensive, professional video camera? Does it have a cropped sensor or not? Do I have to use a crop factor? Well yes and no. That is, it depends on what world you’re from. Still or Film & Video. Remember how 35mm film was loaded into a still camera horizontally? This meant the 35mm measurement of the film was the vertical part of the rectangular frame, leaving all this wide real-estate for your exposure. 35mm Movie film (4 perf) has roughly the same image area as a digital crop frame sensor. But in the film world, 35mm film loaded down into the gate vertically which meant that 35mm measurement was the width of the rectangular frame. The image is, therefore, smaller, roughly 22 x 16mm, close to the digital crop sensor size of 24 x 15mm. Interesting. This meant that in the film world the 50mm lens did not represent the field of view equivalent of the human eye as in the still world, but the 35mm lens did. The same lenses that when used on a cropped frame DSLR camera, and multiplied by the crop factor of 1.6 gave you 56mm, roughly a 50mm lenses. So what does that mean? That there’s a dividing line here. If your experience is in the still world, working with either 35mm still cameras or full frame DSLR’s, you’re used to a certain field of view, 50mm is your middle point. But if your experience is in the film & video world, a 35mm lens is your middle point, and anything below that is wide, above that telephoto. The crop factor applies only if you're used to still lenses in the still world. It’s really that simple. You can choose to use that factor or not, it’s totally up to you. So yes, the 24.6 x 13.8mm sensor in the C100 equals the size of a crop frame APS-C sensor. But it also represents the image size of 35mm vertically fed film. 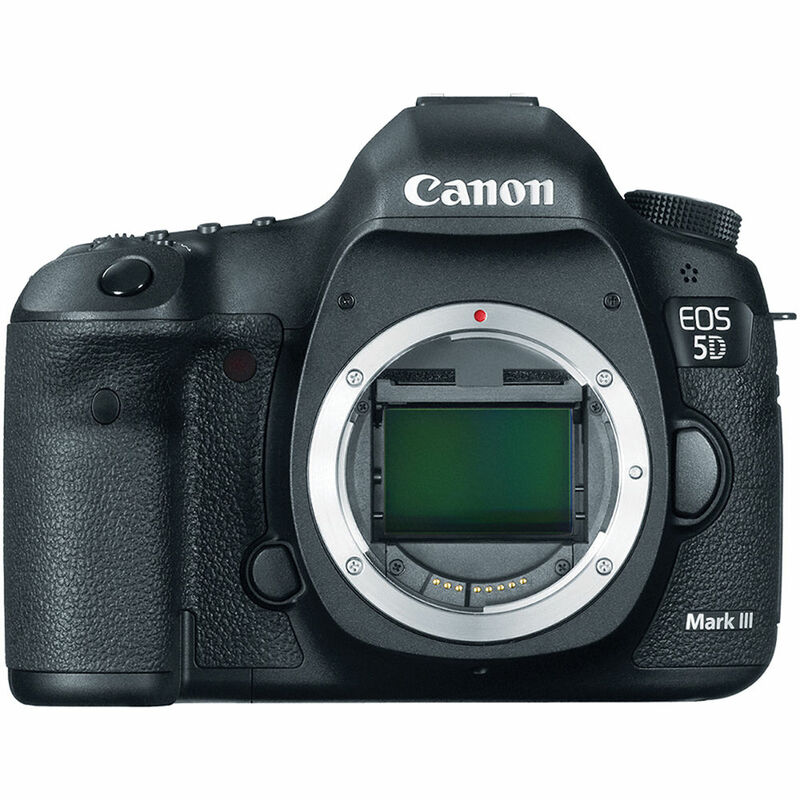 Wait, does that mean I’m downgrading going from a 5D to a C100? Not in the least and we’ll cover that another video. Both cameras are great but different tools with different purposes on set. Now you might also be thinking, why didn’t they have cameras that fed film in horizontally back in the day? They did. In the 50s, Paramount introduced VistaVision and some classics were shot with it. VistaVision loading horizontally through the gate like still film, for a larger image area. But it didn’t last. The cameras were heavy, prone to problems because they fed film through the camera at twice the speed of a standard 35mm camera to maintain 24 fps, and used twice as much film for the same footage. Film stock cost money and had to be developed, so doubling the amount of film shot really added to the budget. Compared to today when I record to, transfer off of and then wipe the data on this little guy. Cost? $35. Man, we got it easy. If you were wondering what the resolution equivalent of 35mm film was, a lot of debate around that but Kodak says it was equal to 6k. Pretty good. By my calculations, that would make VistaVision around 11k. So there you have it. 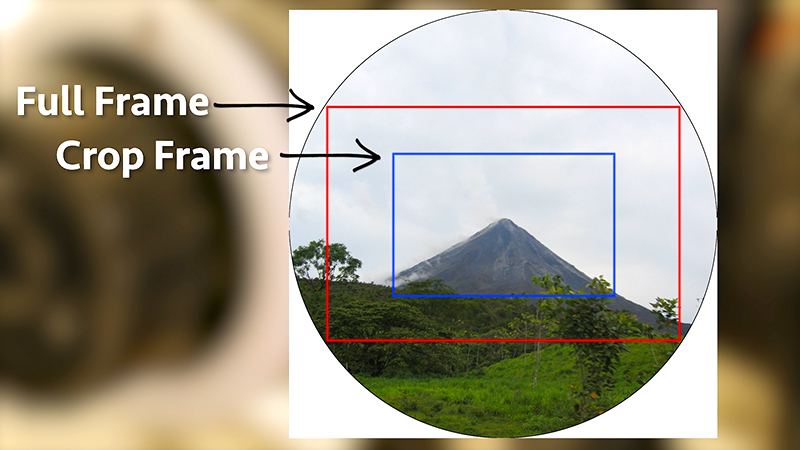 When to use the crop factor or not, and why. Hope that makes this simpler so you can just focus on shooting and editing great video. A VistaVision 8 perforation film frame. Drawn by Max Smith.